Boat rentals in Harlingen? If you have an appetite for sailing, this certainly is a good starting point! Harlingen is the ideal base for a short or long sailing trip on the beautiful waters of Friesland, the IJsselmeer and the Wadden Sea. 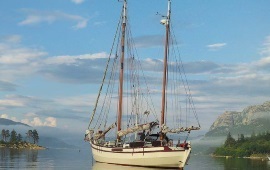 Bootnodig has several beautiful sailboats here that are suitable for longer trips as well. The small image of a bunk indicates the amount of sleeping places on board. Can't find what you're looking for? Please contact us directly, we can certainly help you. 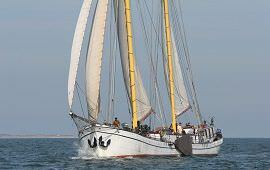 Schooner Pride lies in Harlingen. On this ship, there is room for 10 persons. 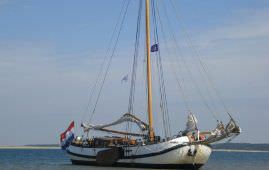 With this boat, you can sail at these sailing areas: IJsselmeer, Zealand, North Sea, Waddenzee. Barge Brave Hendrik lies in Harlingen. On this ship, there is room for 12 persons. With this boat, you can sail at these sailing areas: Harlingen, IJsselmeer, Frisian lakes, Sneekermeer, Friese wouden, Fluessen, Waddenzee. Botter Bornrif lies in Harlingen. On this ship, there is room for 12 persons. 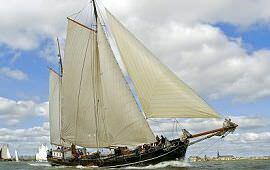 With this boat, you can sail at these sailing areas: IJsselmeer, Frisian lakes, Waddenzee. Barge Bonte Piet lies in Harlingen. On this ship, there is room for 12 persons. With this boat, you can sail at these sailing areas: IJsselmeer, Frisian lakes, Waddenzee. Barge Excelsior lies in Harlingen. On this ship, there is room for 18 persons. With this boat, you can sail at these sailing areas: IJsselmeer, Frisian lakes, Waddenzee. Tjalk Noordfries lies in Harlingen. On this ship, there is room for 20 persons. With this boat, you can sail at these sailing areas: IJsselmeer, Frisian lakes, Waddenzee. Tjalk Spes Mea lies in Harlingen. On this ship, there is room for 20 persons. 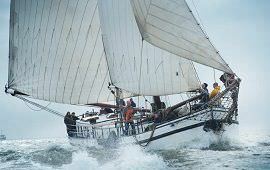 With this boat, you can sail at these sailing areas: IJsselmeer, IJmeer / Pampus, Frisian lakes, the Markermeer, Waddenzee. Tjalk Bruinvisch lies in Harlingen. On this ship, there is room for 24 persons. 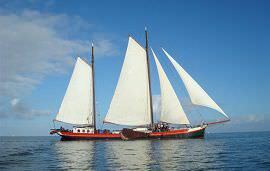 With this boat, you can sail at these sailing areas: The IJ, IJsselmeer, IJmeer / Pampus, Germany, Waddenzee. Barge Maxima lies in Harlingen. On this ship, there is room for 25 persons. With this boat, you can sail at these sailing areas: IJsselmeer, Frisian lakes, Waddenzee. Barge Minerva lies in Harlingen. On this ship, there is room for 30 persons. 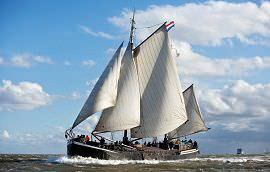 With this boat, you can sail at these sailing areas: IJsselmeer, Frisian lakes, Waddenzee. Barge Alida lies in Harlingen. On this ship, there is room for 30 persons. 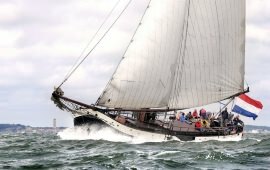 With this boat, you can sail at these sailing areas: IJsselmeer, Frisian lakes, Waddenzee. Tjalk Larus lies in Harlingen. On this ship, there is room for 30 persons. With this boat, you can sail at these sailing areas: IJsselmeer, Frisian lakes, Waddenzee. 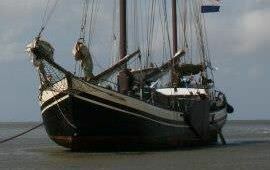 Clipper Eendracht lies in Harlingen. On this ship, there is room for 32 persons. 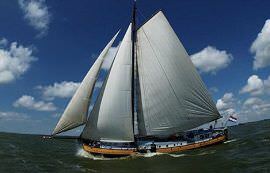 With this boat, you can sail at these sailing areas: IJsselmeer, Frisian lakes, Waddenzee. Clipper Ideaal lies in Harlingen. On this ship, there is room for 35 persons. With this boat, you can sail at these sailing areas: IJsselmeer, Frisian lakes, Waddenzee. Canal tour boat Mps Singel Prinses lies in Harlingen. On this ship, there is room for 40 persons. 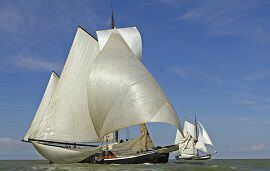 With this boat, you can sail at these sailing areas: Harlingen, Franeker. 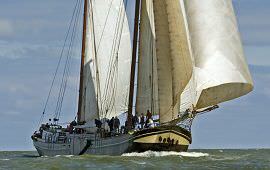 Clipper Hollandia lies in Harlingen. On this ship, there is room for 40 persons. 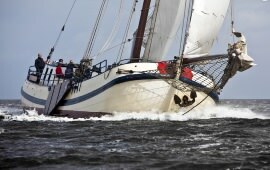 With this boat, you can sail at these sailing areas: Frisian lakes, IJsselmeer, Waddenzee. Clipper Passaat lies in Harlingen. On this ship, there is room for 45 persons. 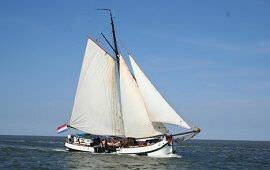 With this boat, you can sail at these sailing areas: IJsselmeer, Waddenzee. Clipper Actief lies in Harlingen. On this ship, there is room for 45 persons. 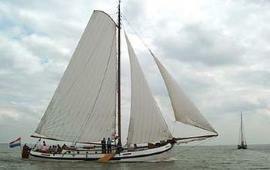 With this boat, you can sail at these sailing areas: IJsselmeer, Waddenzee. Clipper Pelikaan lies in Harlingen. On this ship, there is room for 50 persons. 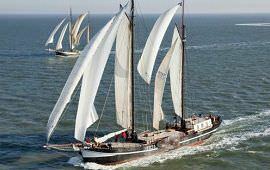 With this boat, you can sail at these sailing areas: IJsselmeer, Waddenzee. 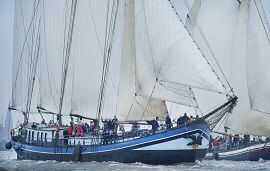 Clipper Averechts lies in Harlingen. On this ship, there is room for 50 persons. 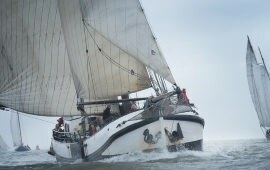 With this boat, you can sail at these sailing areas: IJsselmeer, Waddenzee. Clipper Poseidon lies in Harlingen. On this ship, there is room for 50 persons. 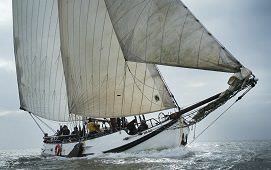 With this boat, you can sail at these sailing areas: The IJ, IJsselmeer, IJmeer / Pampus, Waddenzee. Clipper Aldebaran lies in Harlingen. On this ship, there is room for 50 persons. 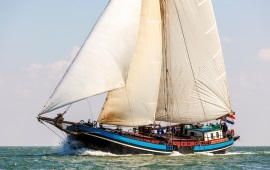 With this boat, you can sail at these sailing areas: IJsselmeer, Frisian lakes, Waddenzee. Clipper Grootvorst lies in Harlingen. On this ship, there is room for 50 persons. With this boat, you can sail at these sailing areas: IJsselmeer, Frisian lakes, Waddenzee. 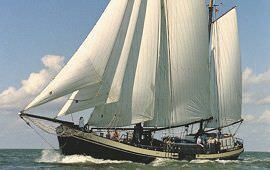 Clipper Suydersee lies in Harlingen. On this ship, there is room for 60 persons. With this boat, you can sail at these sailing areas: IJsselmeer, Frisian lakes, Waddenzee. Motor ship Mps Regina-Andrea lies in Harlingen. On this ship, there is room for 250 persons. 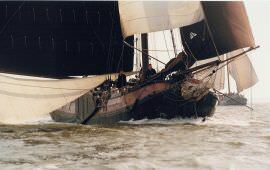 With this boat, you can sail at these sailing areas: Harlingen, IJsselmeer, Waddenzee.